Refill your bag sealer with this roll of tape to get up to bakery-type 500 seals. Sealabag will lock and contain any sized bag—from little baggies to heavier duty trash bags—in a simple, single motion. The refills last a long time and are easy to use. 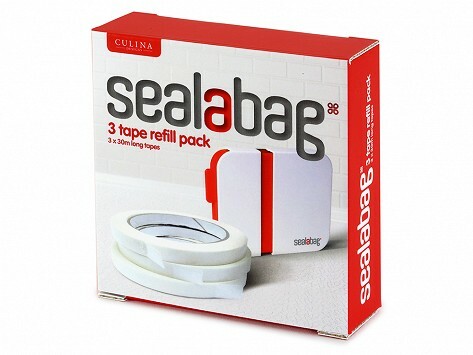 Sealabag is a practical and cost-efficient way of keeping bags sealed and their contents fresh.